Everblue Training (Everblue.edu) — an environmental education startup with offices in Berkeley, Calif. and Charlotte, N.C. — this week attained accreditation from the group that verifies the quality of non-collegiate, continuing education and professional training programs throughout the United States for the U.S. Department of Education, the Accrediting Council for Continuing Education. Principal and co-founder of Everblue, Jon Boggiano, says the endorsement allows his business to sell its services to: government veterans’ education programs helping them adjust back to civilian life; large companies that seek to train and certify their employees in a variety of environmental topics; and professionals or students who use government grants and loans to afford their continuing education. All of the company’s customers prior to its accreditation paid out-of-pocket. 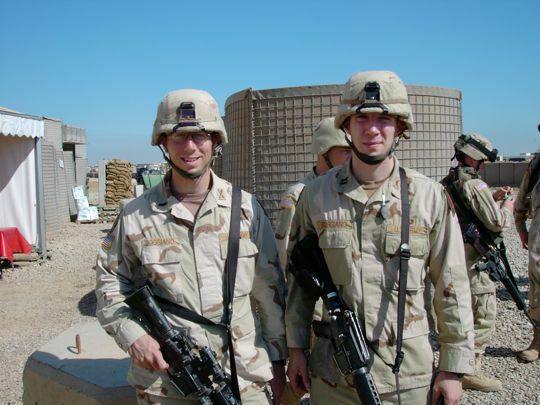 Boggiano explained that he and his brother, Chris, a co-founder (along with Grant McGregor) are both veterans hoping to make the U.S. more energy independent, and to prepare the domestic workforce to remain technologically competitive. The duo also worked in the field of test-prep, helping business school hopefuls get ready for the GMAT (Graduate Management Admission Test) prior to founding Everblue. With about twenty full-time employees, and fifty contract instructors, Everblue now teaches about 25,000 students per year, combining both classroom-and-online, and all-online courses.”Generally, people come for short-term boot camp type training. Most of the students in the classroom are architects, municipal officials, or anyone who has a hand in designing for communities. They’re collegiate up to retirees,” Jon Boggiano explained. Everblue courses cover the following topics and certifications: Building Performance Institute (BPI) Certifications, Weatherization Training; the Residential Energy Services Network’s Home Energy Ratings System (RESNET HERS); the U.S. Green Building Council’s certification of LEED certifications; the North American Board of Certified Energy Practitioners’ Solar Certification, Corporate Sustainability, and Carbon Accounting. To build its content, Everblue used the open source course management system Moodle, Drupal and Articulate software, among other technologies. In 2010, the 5 percent of students who completed Everblue courses used the purely online services. Boggiano says he expects that number to grow to represent 20 percent by the end of 2011. The company currently partners with 60 schools and trade associations to deliver its coursework broadly. It plans to soon deliver multiple language editions of its online coursework to students in China, the Middle East and Europe, and to add more game-like and immersive features to its digital courses, Boggiano said.